Berlin, 17 December 2018. 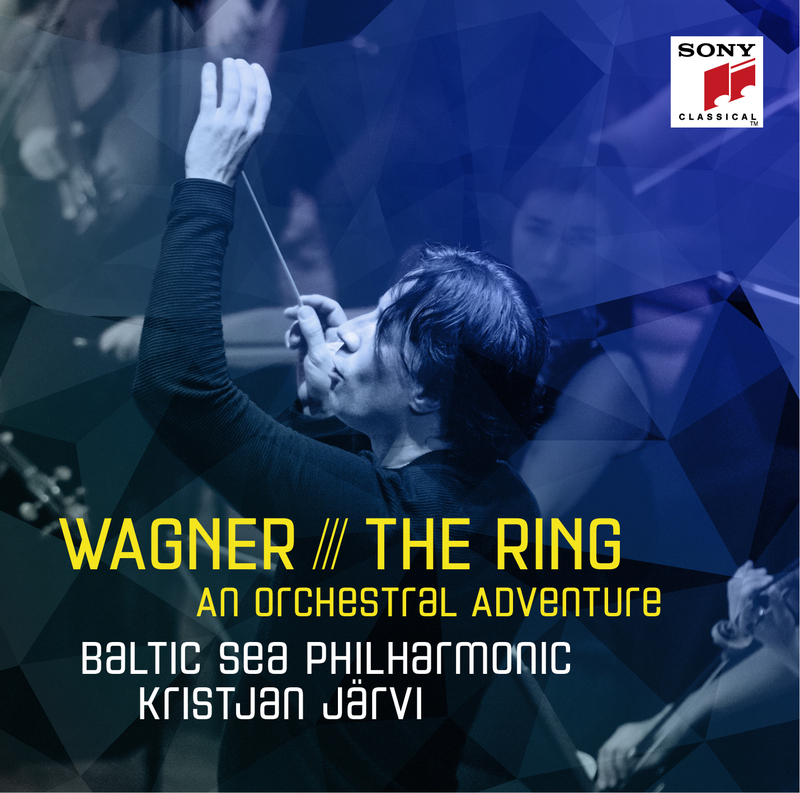 A first-ever tour outside Europe, a eulogy from the German Chancellor, an entire concert performed from memory – these were just some of the many highlights of 2018 for the Baltic Sea Philharmonic and Kristjan Järvi. With the orchestra’s tenth-anniversary year at an end, the Baltic Sea Philharmonic can now reveal its exciting programmes and touring plans for 2019. Three concert tours – ‘Nordic Pulse’, ‘Midnight Sun’ and ‘Divine Geometry’– will feature collaborations with violinists Mari Samuelsen and David Nebel and pianist Simone Dinnerstein, and will take the Baltic Sea Philharmonic to some of Europe’s most renowned concert halls, including Finlandia Hall in Helsinki (17 March), the concert hall of the Mariinsky Theatre in St. Petersburg (19 March), the Berlin Philharmonie (26 June), the Elbphilharmonie in Hamburg (2 July) and to the Usedom Music Festival (21 September). The Baltic Sea Philharmonic’s ‘Nordic Pulse’tour of the Baltic States, Finland and Russia in March 2019 features concerts in three European capitals – Riga,Tallinn and Helsinki– as well as Russia’s second largest city, St. Petersburg. The programme begins with Kristjan Järvi’s Aurora, a piece inspired by the Northern Lights, and ends with another Aurora, this one the Princess Aurora of Tchaikovsky’s ballet The Sleeping Beautywho is awakened from her 100-year sleep by a prince’s kiss. Kristjan Järvi has arranged a concert suite from Tchaikovsky’s masterful score, which the Baltic Sea Philharmonic will perform from memory. Swiss violinist David Nebel will join the orchestra to perform Lithuanian composer Gediminas Gelgotas’s Violin Concerto. Nebel, the concerto’s dedicatee, gave the world premiere of the work with the Baltic Sea Philharmonic and Kristjan Järvi in July 2018 at the Kissinger Sommer festival in Bad Kissingen, Germany. Nebel will also perform Pēteris Vasks’s ‘Lonely Angel’, a ‘meditation’ for violin and string orchestra that the Latvian composer wrote after experiencing a vision of an angel flying over the world and viewing it with ‘grieving eyes, but an almost imperceptible, loving touch’. The ‘Nordic Pulse’ concert in Helsinki will underline the Baltic Sea Philharmonic’s commitment to the environment: one Euro from each ticket purchased will go to the John Nurminen Foundation, a Finnish organisation that promotes projects dedicated to a clean Baltic Sea. The ‘Midnight Sun’ programme opens with Rautavaara’s Cantus Arcticus, his concerto for birds and orchestra that features taped birdsong recorded around the Arctic Circle and in the marshlands of Liminka in northern Finland. Norwegian violinist Mari Samuelsenthen joins the orchestra to perform four works: Kristjan Järvi’s Aurora, in a version for violin and orchestra; Arvo Pärt’s Fratres, a classic example of his ‘tintinnabuli’ style; Pēteris Vasks’s ‘Lonely Angel’; and ‘Dona Nobis Pacem’ by Max Richter. ‘Midnight Sun’ climaxes with more magical light, this time courtesy of the mythical Firebird of Russian folklore, in the form of Stravinsky’s 1945 orchestral version of his great ballet The Firebird. The Baltic Sea Philharmonic will perform the entire programme from memory, bringing a thrilling extra dimension to these scores. The debut of ‘Midnight Sun’ will be on 26 June at the Berlin Philharmonie, where the orchestra first performed in 2014. For the second ‘Midnight Sun’ performance, in Hamburg on 2 July, the Baltic Sea Philharmonic is excited to return to the Elbphilharmonie, which was the final venue on the orchestra’s acclaimed ‘Waterworks’ tour of 2017. The Baltic Sea Philharmonic and Kristjan Järvi explore the past and present through two distinct musical eras in ‘Divine Geometry’, a new programme that the orchestra will perform in Merano, Italy, and the Usedom Music Festival in Peenemünde, Germany, in September 2019. Contemporary arrangements of music by Baroque masters Bach and Handel share the programme with American minimalist Philip Glass’s Piano Concerto No. 3. Simone Dinnerstein, the American pianist who premiered this concerto in September 2017, will be the soloist again for these performances with the Baltic Sea Philharmonic. The concert at the Usedom Music Festival will also feature the German premiere of a major new work by another great American minimalist, Steve Reich: his ‘Music for Ensemble and Orchestra’ was co-commissioned by the Baltic Sea Philharmonic, the New York Philharmonic, the Los Angeles Philharmonic, the San Francisco Symphony, the London Symphony Orchestra and the Sydney Symphony Orchestra. A ‘Waterworks’tour of the United Arab Emirates in November 2018 crowned the Baltic Sea Philharmonic’s tenth-anniversary year. It was the ensemble’s first ever tour outside Europe, and was the first tour on which the orchestra performed all its music from memory. The groundbreaking ‘Waterworks’ programme, presented in collaboration with Sunbeam Productions, combined state-of-the-art lighting, sound design, projection art and music in spectacular fashion, thrilling more than 2,800 listeners at the Dubai Operaand the sold-out Emirates Palacein Abu Dhabi. The programme included Handel’s Water Musicand water-inspired works by Charles Coleman, David Rozenblattand Philip Glass. The tour also marked the launch of a strategic partnership with the Ministry of Culture and Knowledge Development of the United Arab Emirates.